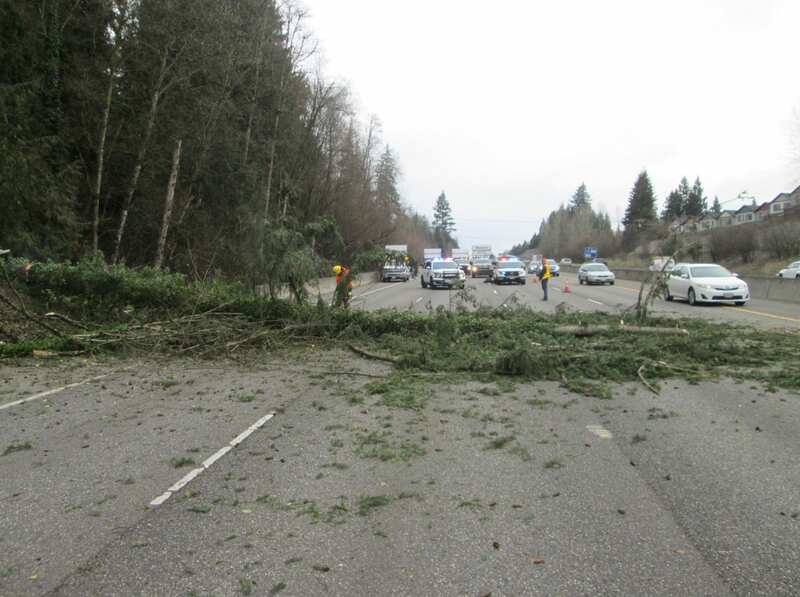 VANCOUVER — A blustery day in Clark County took a dangerous turn this afternoon when a tree fell across the northbound lanes of I-5 in Salmon Creek. Washington State Police Trooper Will Finn says it happened just after 3 p.m. Amazingly, no vehicles were hit and no one was injured. 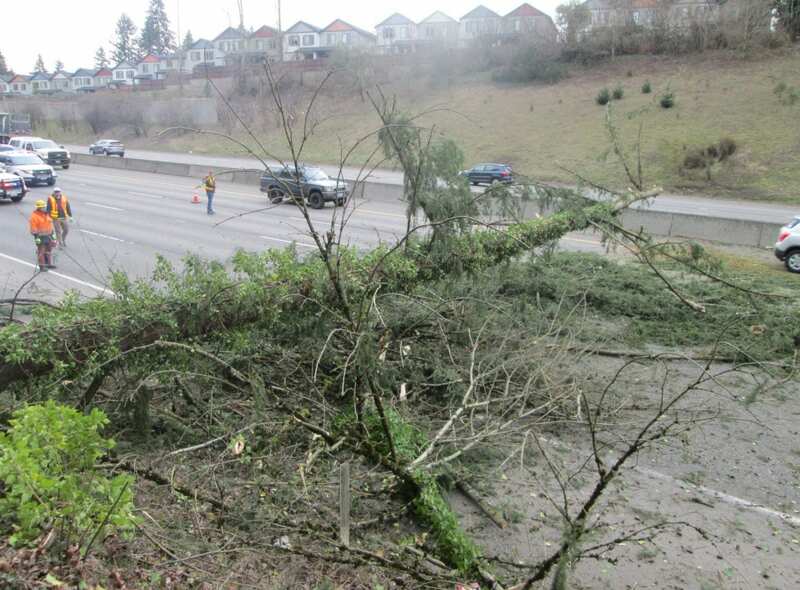 Crews with Washington’s Department of Transportation quickly arrived on scene and briefly closed the freeway while they cleared the tree out of the way and removed debris from the freeway. 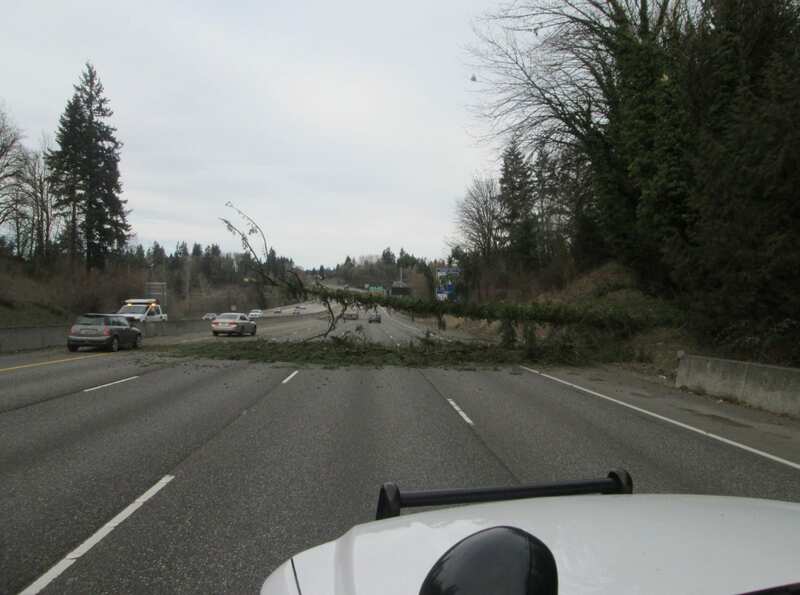 All lanes of I-5 were reopened about an hour and a half after the tree came down. Meanwhile, the National Weather Service has issued a new Winter Weather Advisory for the Portland Metro Area, including Clark County. There is potential for more snowfall overnight into Wednesday morning, as temperatures remain cool across the area. The heaviest snowfall is expected west and east of Portland, but some areas of Clark County could see up to an inch before things dry up Wednesday afternoon. The rest of the week looks mainly dry, but cold, with temperatures into the upper teens or mid-20’s across much of the area.